In a previous post, I blogged about my Everyday Salad, which I eat almost every day, like, at least 5 times a week. 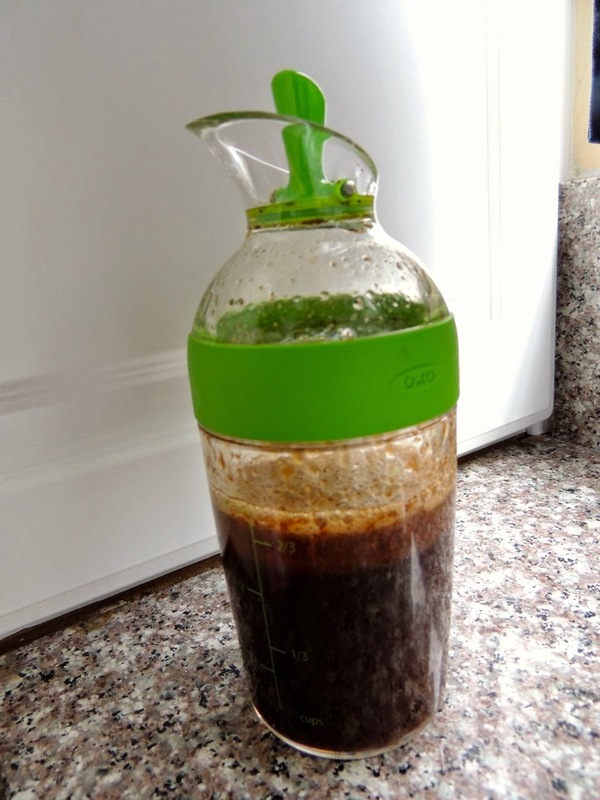 In that post, I included a recipe I found for light balsamic vinaigrette. Since then, I've modified the recipe enough that I decided to write this new post including the recipe for the salad dressing I really use everyday on my Everyday Salad. Here is my version of light balsamic vinaigrette. In a jar or container with a screw-on lid, add all ingredients, screw on the lid and shake the container vigorously until everything is well combined. You can store the the dressing in the same container. Just be sure to shake the container before serving. 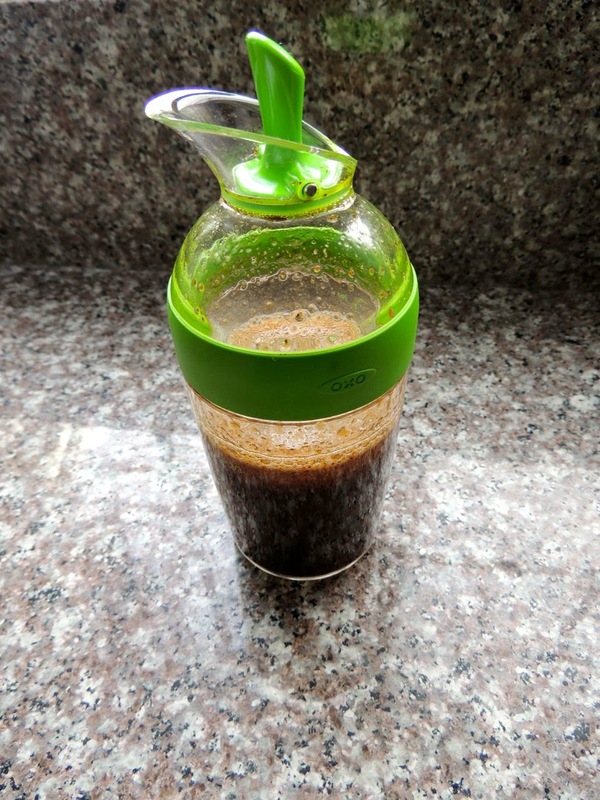 Tips: I found the perfect container for shaking and storing your homemade salad dressing! It's the OXO Salad Dressing 8-Ounce Shaker in Green. The lid screws on tightly. The pour spout makes it easy to pour just the right amount of dressing on your salad. It's also the perfect size! I got mine at Bed Bath & Beyond for only $9.99. Note about the Everyday Salad: The Everyday Salad recipe says to put TexJoy directly on the salad, but since I now put TexJoy in the salad dressing, I don't put additional TexJoy on the salad.